Your living room is kept warm & comfortable with your current heater, but the warmth does not effectively penetrate into other parts of the house, particularly bedrooms off passageways. Alternatively, if the heaters can warm up other parts of the house, it is after a substantial period of time and the living room becomes uncomfortably hot. You may be using portable or panel heaters in bedrooms or passageways, or alternative heaters used in separate lounge rooms, adding additional expense to the household. These only have limited effectiveness and, in combination, are more expensive than the primary heater. Warm air, in general, does not like to naturally move away from your heater unless it is blown or caught in a cross-draught. Wood and gas heaters, in particular, naturally create a strong vacuum as the hot up-draught travels up the flue, which means that recently-heated air gets sucked away before it has a chance to be of any use. If you have a combustion heater of any kind, you will probably note that all draughts in your house are towards the heater, making it very difficult for warm air to move to other rooms in the house. As the warm air does not want to move away from the heater, most people then resort to closing doors to keep heat in specific rooms and cold rooms isolated. A ducted air circulation system continuously moves air to and from the living room to the bedrooms, bathroom(s) and other living areas of the house. 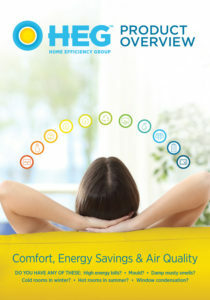 Warmed air will slowly travel around the house approximately 10 times per hour, taking the chill off the thermal mass of the house (walls, furnishings and even floors) as it circulates An air inlet is placed in your ceiling near to the heater, which is connect to the other rooms via heavily insulated flexible ducting. A quiet, yet powerful, centrifugal air pump moves the air efficiently through the ducting. It is recommended that 4-5 rooms are ducting to at least, usually all bedrooms and the bathroom, so as to generate this “circulation effect”. Alternative systems that used weak fans, low-capacity ducting and incorrect positioning of the inlet and outlets are not able to capitalise on the circulation effect, which is where all the real benefits of the system are realised. Less reliance on expensive panel heaters or other primary heaters, distribution of warmth to up to 10 rooms in the house, increase in the ambient temperature of the bedrooms and passageways by 4 to 8 degrees depending on heater type and house size, a reduction in your heating-related bills, reduced window condensation, a drier environment with better air quality and a warmer living room. The living room is warmer because the warmest air (just below the ceiling) is “folded” back into the lower sections of the room by the subtle circulation effect, and returning air from rooms is warm instead of being cool.